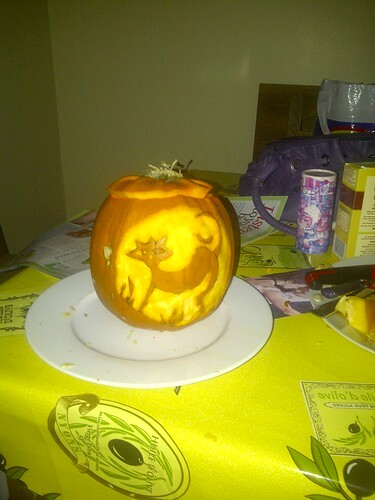 With Halloween just around the corner, I thought I’d try my hand at a spot of pumpkin carving. 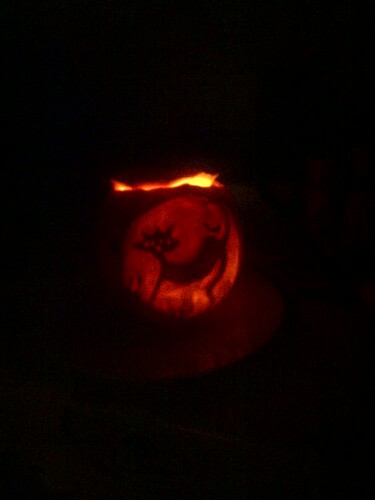 This is not my own design: it is a loose recreation of a photo I saw when I Googled “pumpkin carving”. Recently I decided to avail myself of the “upgrade for £24.99” offer and upgrade a copy of Windows XP to Windows 8. Much prefering to run Windows in an VM on Linux, noting that only the VMWare SCSI disk was a problem I pushed ahead with the upgrade. After changing the scsi to ide in the vmx file, I booted into Windows 8 only to find that the VMWare network adapter wasn’t detected and installed. Thinking that perhaps it was the fact that I am running Workstation 8.04, I downloaded and installed the 9.x series of VMWare Tools from the website. Still no joy. and hey presto we now have a fully functioning NIC in the Windows 8 guest.